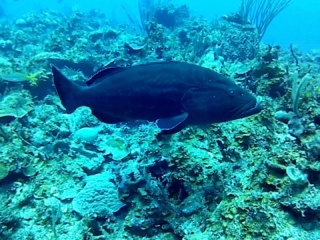 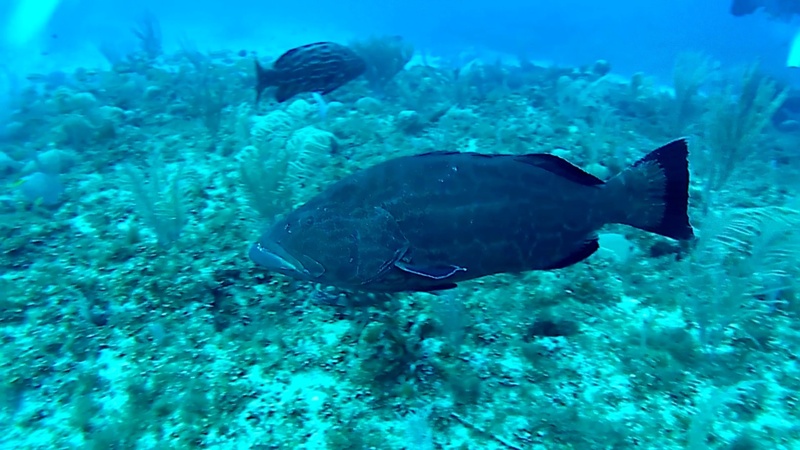 The black Grouper belongs to the family of the Serranidae, subfamily Epinephelinae and includes numerous species of saltwater fish; they are large fish, which generally live in depth and are appreciated for their prized meats. 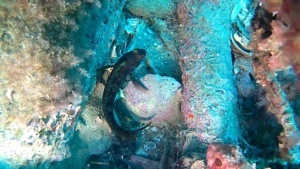 It is a protogynous hermaphrodite fish that lives for a long time, some estimate even over 50 years, and that becomes male around the age of 12. 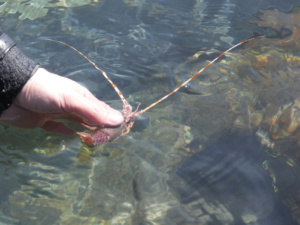 Therefore all large specimens are male. 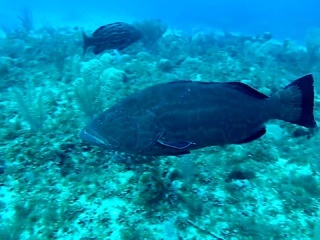 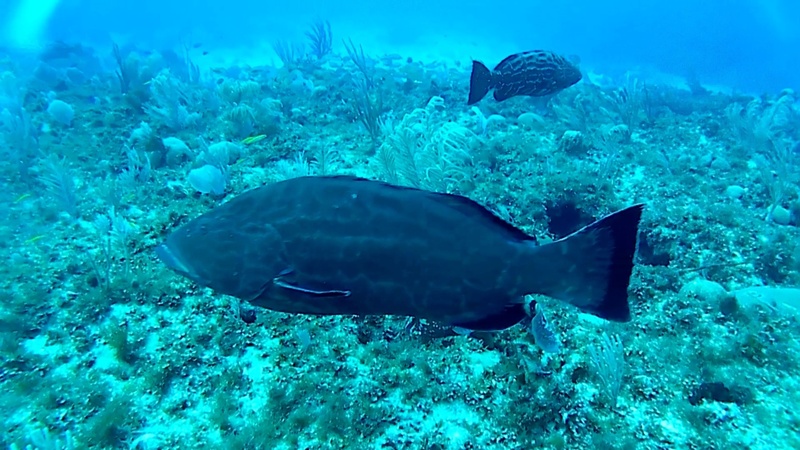 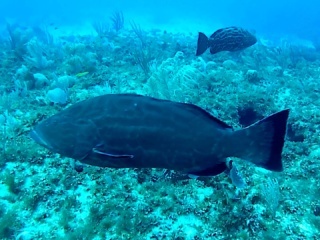 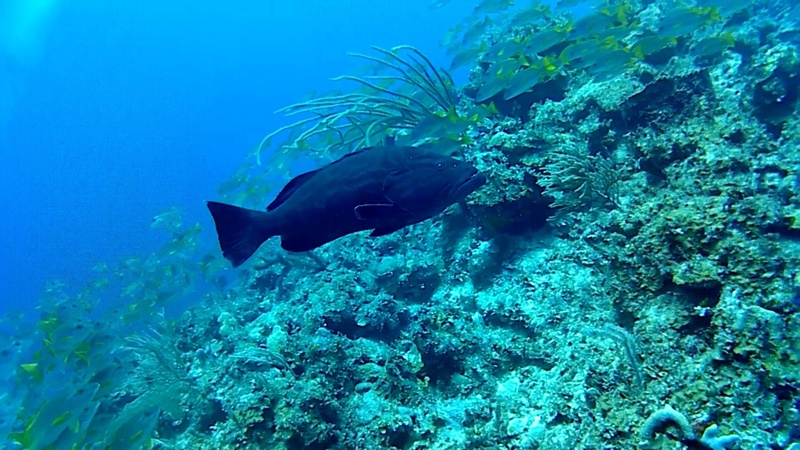 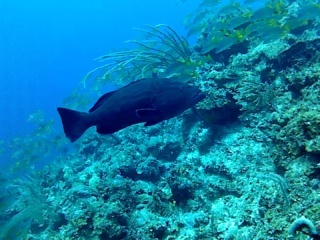 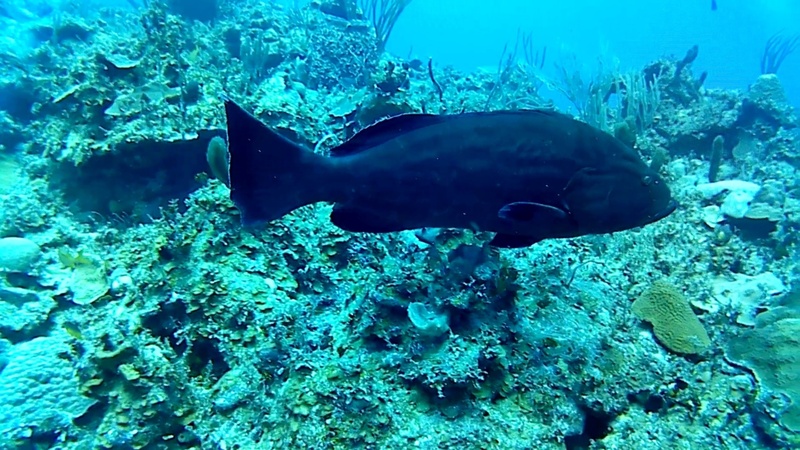 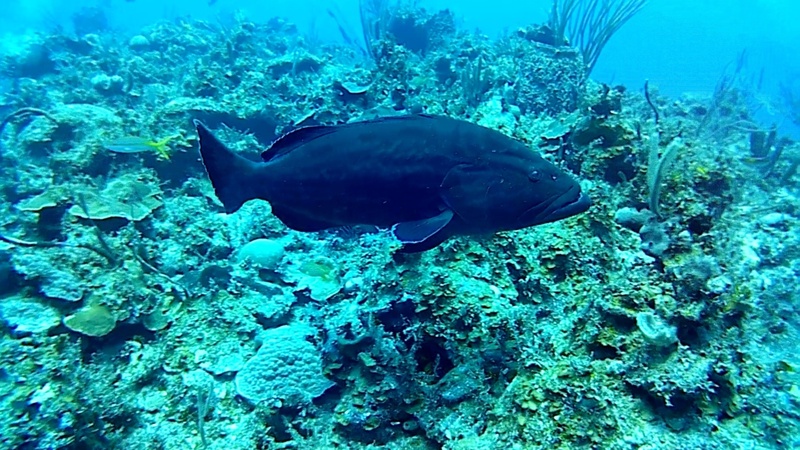 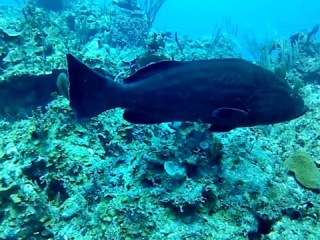 We met the Black Grouper in the Caribbean movie during a diving in the coral reef of Cayo Largo, a small island in the Los Canarreos Archipelago.